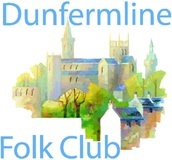 Dunfermline Folk Club respects your privacy and will never knowingly pass on or sell your details to third parties for any purpose not specifically agreed upon, except where required to by law. We only ask for details that we need to know. It is entirely at your discretion if you wish to tell us anything else. No personally identifiable information is gathered without your consent. The content of this web site is for information only. We aim to keep this content accurate and up to date but this is not always possible. This website contains links to external sites and third parties. Please be aware that we are not responsible for the content of external sites. We encourage you to read the privacy statements of each and every website that collects personally identifiable information. ​How Can I Manage Cookies?